It’s winter. Officially. Although, at times, it doesn’t quite feel like winter. Regardless, it’s the end of January, and I’m craving my warming and hearty (yet healthy) soups and stews and chilies. I won’t lie, with recent talk at the office of the Annual Chili Cook-off (I won last year! ), my mind has been on creating a new chili to cook up for the big competition. This past weekend, while doing some recipe testing with cauliflower…I decided to do something completely different and make some chili…from scratch. This meant on Saturday afternoon, I had dry heirloom beans soaking in water on my counter top. When I do something…I do it right. Now…if you don’t have the time, patience, or a clue as to how to work with dry beans…no worries, this recipe will work with canned beans as well. Just use 2 cans of tri-blend beans and you will get similar results. That being said…I wanted something smokey…with that true homestyle flair. So…instead of tomato sauce…this chili got the bbq sauce treatment. And I have some local, amazing bbq sauce on hand…lots of it in fact…so I got a little chefy and a little creative. And the result…left the people who tried it raving. SO…I figured I would just go ahead and share the recipe with you! Prep the beans. Place beans on a sheet pan or clean towel. Remove and discard any shriveled or broken beans and any stones or debris. Rinse thoroughly in cold water. Soak overnight. Rinse and place in a large pot, covered with fresh water. Bring water to a boil for 3 minutes, reduce heat and simmer, covered, for 60-90 minutes, until beans are tender. Reserve a cup of the cooking water. Line a large pot with 1/4 cup water over medium heat. Add onions, garlic, and chiles. Sauté until soft. Add in chili powder, oregano, cumin and cayenne; stir for 2 minutes. Mix in the cooked beans, 1/2 cup of the reserved bean cooking liquid and the bbq sauce. Bring to a boil, stir, reduce heat and simmer until theflavors blend and the chili thickens. About 20-30 minutes. I found I needed to a the rest of the bean water to get it to the texture I like…but vegetable broth would also work. Garnish with a sliced avocado! (Of course, you can garnish this however you like…sour cream, cilantro, grated cheese…but I love me a good, ripe avocado on top). LOVED this chili from the first taste. It’s tangy, it’s got a kick to it, but it’s not overwhelming. Not only that, it’s warming and hearty…and healthy! How’s that for winning? Go ahead, cook some up!! It freezes well, but, trust me, it may not be around long enough to need to hit the freezer! My life is a roller coaster these days. Good days. Bad days. Highs and lows. There are days I feel unstoppable and days that stop me cold. There are days where I feel on top of the world, and days where the tears just won’t stop. There are pain-free days…and days where it hurts just getting out of bed. This is my life…and has been since February 16, 2015. Still not better. Still fighting. Still not where I imagined I’d be. I’m going to be honest, I came out of the weekend, despite the slip and fall on ice, feeling good. My pain levels were down. I was moving without problems. And then…Tuesday hill repeats. UGH! JUST UGH!! I did fine, but when I stop that’s when the problems start. And despite a round of stretches my physical therapist assigned me, I was still feeling it yesterday and this morning when I worked in my training runs. All that being said, I’ve powered through a lot, and despite my demanding work/training/recovery schedule…I’ve done some pretty amazing things so far this week. I thought I’d share! I think I have the perfect (always colorful) tights for a Disco-themed spin class, yes? Rocking perfect tights for a disco-themed spin class, yes? My amazing and inspiring friend, Deana, is a very fun spin instructor. It’s always a mixed bag with her. And when you attend one of her classes, you are going to walk out of there a sweaty mess. She’s in training for her first Half Ironman, and we’re in training with her, in a way. At least on the stationary bike in the safety of the walls of the YMCA. HA! Anyway, this week, Deana has had themed spin classes. And I am loving it. Monday morning, my 5:30 a.m. class was treated to Spinning to the ’90s. All the music was songs straight out of the 1990s…and I knew and even sang along with every single one of them. Not loudly, because, I wouldn’t put anyone through the torture of hearing me sing, but it really takes your mind off of that hill climb and definitely brought a lot of hoots and hollers from the class. And Friday morning, we’re getting a disco ball and having our own Disco Inferno all up in the spin room. And I am already working on what I intend to wear for said Disco day. There might even be a lava lamp. Regardless, I’ll be ready to work hard to the tune of the best disco songs. 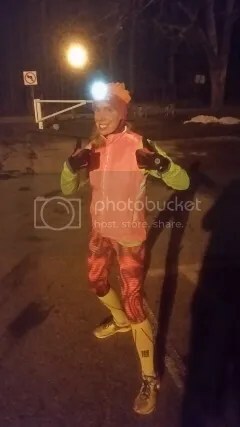 Bright colors, bright lights, and loving that I’m DONE with hill repeats. Love them or hate them…hill repeats are real. In fact, hill repeats are what my physical therapist currently wants me doing. So, every Tuesday, I’m out at either Cherokee Park or Iroquois Park here in Louisville…running me some major hill repeats. The past two weeks, I’ve knocked out 4 miles of hill repeats each Tuesday night. 4 freakin’ miles. To this point, that is the furthest I have run since…the stress fracture in my leg back in August. I won’t lie…a little part of me panics every time I go out there for these. Hills do make you a stronger runner…but they hurt. In my case, they really hurt. But, I feel strong while doing them, and after some plyometric exercises and stretches…and a little TLC from my foam roller…I’m usually back in the game the next day. So yeah…hills. YAY! I don’t worry about my time or how long I’m out there or even my speed. What’s important to me is that I am actually out and running again. Not completely pain-free…but being out there is SO much better than where I have been. I’ll take every chance I can get to attempt to get stronger again. Pizza Chili (which I figured would be my star) and Hawaiian Chili. I realized I was splitting my odds at winning, but…I love both of these chilies and they were both very different. VERY different. Even from the other chilies (there were 7 entries…2 of which were mine) that were entered into the annual cook off. And, shocking me (and probably the rest of the office who doesn’t always want to venture into my plant-based, gluten-free goodies)…I won. With…Hawaiian Chili. So not the chili that I expected to win. I was seriously surprised. Of the two I brought in, I thought Pizza Chili would be the more popular one. And it was a very near thing with the runner-up, a Mexican Beer Chili. 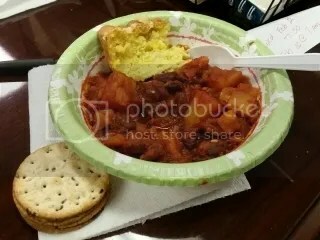 The winning chili is pictured above with the corn spoon bread. I am so happy. This is the first time a vegan/vegetarian chili has won. And it’s the first time I have won anything at work. So…YAY!! I’ve had many requests for this recipe, so I will leave it here. Do try it. It’s amazing. Line a large pot with vegetable broth. Sauté onions, garlic, and bell pepper until onions are translucent and bell peppers are soft. Add spices, stir to coat vegetables. Add remaining ingredients and simmer for 20-30 minutes. If you live in the area…come to tomorrow’s 5:30 a.m. spin class at the YMCA of Southern Indiana in New Albany and let Deana bring the funk and disco back…disco ball included. Growing up, I remember eating Dare Breton Crackers (the wheat versions) at my friends houses at little get-together or parties. I remember schmearing port wine cheese over them and devouring them by the box-full. So, you can imagine how excited I was to see boxes of Gluten Free Breton Crackers on the shelves of my local Kroger and Walmart stores. Yep. Very excited. But, I never really could think of something I could use with them. And being on a super-strict budget these days, I had to pass them over time-and-time again. Well, when I went home for Christmas, my mom picked up a box of the Herb & Garlic Breton Gluten Free Crackers…but we never quite got around to eating them. While I love cooking and making homemade dishes, with the craziness of the holidays and all the family, we tend to eat out more than in. And that’s fine. But it means the crackers remained untested and untasted. However, the other day while killing off some time on a Sunday morning (after a snowstorm), my roommate and I were walking the aisles of our local Fresh Market, because we hadn’t gone out there in months. On sale, there in the cracker aisle, were boxes of Dare Breton Gluten Free Crackers. Of the gluten free varieties available, my roomie suggested we begin sampling them by going with the original flavor. So, it was settled. A sale meant they came home, so a box of the Dare Breton Gluten Free Original Flax with Crackers made it to my pantry. And didn’t stay there long. This week’s meal planning called for 2 days of soup and some chili too. I was participating (and ended up winning) in the office chili cookoff and…hey…crackers are great with both soup and chili. So, Monday morning, out came the crackers, stashing some in little traveling baggies for my roommate and I to have at lunch when we heated up our homemade vegan Smokey Potato Soup. Lunch time rolled around, soup was assembled, and the crackers came out. One bite…and I knew…I knew this was cracker gold. Gluten free crackers either are amazing or they taste like cardboard. These…are amazing. Light and buttery in flavor, these Breton Crackers reminded me so much of their original counterparts. They were great for dunking in the soup, piling chili on top and noshing, and just busting up to have a little added crunch in the soup. They’d be great to schmear whatever schmeary things you like to schmear on crackers. Cheese, butter, peanut butter, hummus…whatever. These crackers are perfect for all of it. The box even comes with two cracker-type recipes on it, in case you’re feeling uninspired. But crackers this good will leave you feeling anything but uninspired. Trust me. Love their crisp and flaky texture. So amazing. And, with the added addition of flax, the Dare Breton Gluten Free Original with Flax Crackers add a little bit of omega goodness to each serving. I will probably always have a box of these in my pantry. No doubt. And one can always use crackers, yes? Let’s talk about the ingredients that go into the Dare Breton Gluten Free Original with Flax Crackers. These crackers are made from corn starch, arrowroot flour, canola oil, coconut oil, green lentil flour, rice bran, flax seeds, sugar, salt, sesame seeds, modified milk ingredients, baking soda, ammonium bicarbonate, xanthan gum, soy lecithin, and natural flavor. They are processed in a peanut-free facility also. 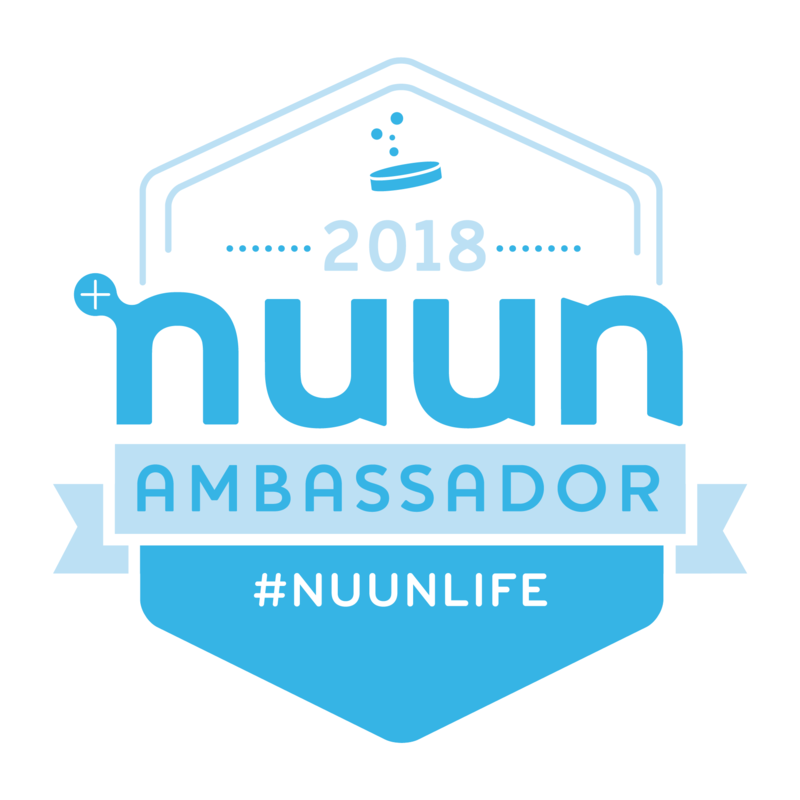 As far as nutrition information goes, you’ll love this! 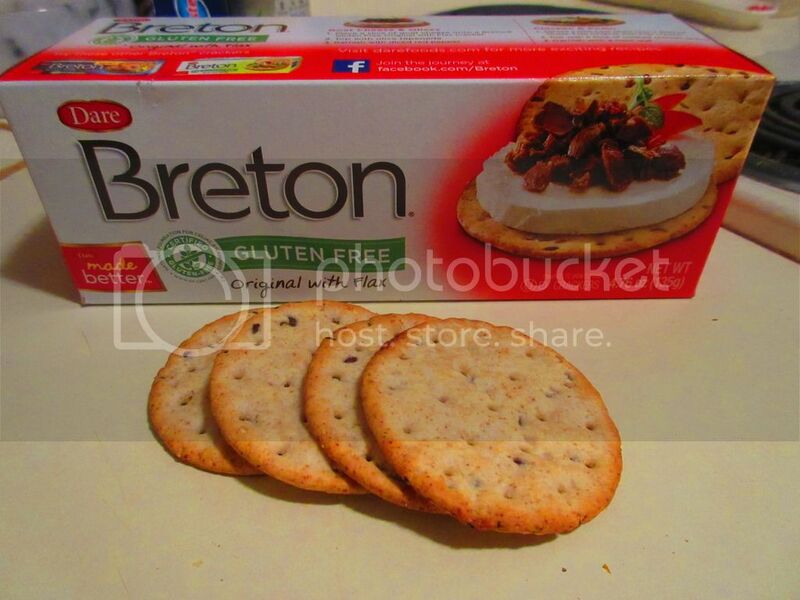 The rather large, circular crackers that are Dare Breton Gluten Free Original with Flax Crackers are a great way to enjoy a snack without the guilt. A serving size is 4 crackers (18 grams) and the box contains about 8 servings. One serving will provide you with 90 calories, 4.5 grams fat, 2 grams saturated fat, 0 grams trans fat, 0.5 grams polyunsaturated fat, 2 grams monounsaturated fat, 0 mg cholesterol, 80 mg sodium, 12 grams carbohydrates, less than 1 gram fiber, less than 1 gram sugars, and less than 1 gram of protein. They won’t fill you up or really wipe out your calorie count for the day. Gotta love it. So, if you are still on the hunt for a cracker that lives up to the standards of the crackers you may have grown up with…try to find the Dare Breton Gluten Free Original with Flax Crackers. Their tender-crisp texture and wholesome taste are reminiscent of the Breton crackers I devoured before the Celiac diagnosis. What a great way to bring great taste from a trusted brand to the gluten free community. And for a very fair price. I wish I could remember where I picked up the pouch of Milton’s Craft Bakers Gluten Free Everything Baked Crackers…but I don’t remember. I think…think…they came from my local Kroger. Possibly one of those days where my roommate threw something into the cart, off list, to surprise me. Who knows for sure. What I do know is that I have a pouch of Milton’s Craft Bakers Gluten Free Everything Baked Crackers…so why not pair it with a hearty (and healthy) chowder for lunch today? Hey, if I have the product, I best use said product! It does no good just sitting in my pantry (or in this case, in the basket on top of my fridge). Today, I popped them open. Milton’s Craft Bakers began in 1995 with the opening of Milton’s Restaurant and Delicatessen in Del Mar, California, offering up wholesome and great tasting foods in the tradition of the delis of New York City. The founders then continued their passion by creating their own breads for any sandwiches they served. The customers loved the bread so much that they wanted to take it home with them…and thus…Milton’s Baking Company was born. Since then, their line of delicious and nutritious breads has grown, and they have since developed an assortment of flavorful crackers made with the same whole grains that they make those famous breads with. But, wait for just a moment. That’s not all. This past summer, Milton’s stepped into the gluten-free realm by offering a new line of crackers and cookies, that they state are so good that consumers won’t know for a moment that they are gluten-free. The crackers come in four (4) varieties: Cheddar Cheese, Crispy Sea Salt, Everything and Multi-Grain. The cookies have three (3) varieties: Chocolate Chip, Double Chocolate Chip, and Snickerdoodle. I haven’t seen the cookies yet…but…now that I’ve had the crackers…I’d love to try them. So, let’s get into the nitty-gritty here. I never do anything basic, so when faced with a flavor option, I aim to be different. Now, these might have been the only offerings at the mystery store where I mysteriously picked these up…but…either way, why start with Multi-Grain and Crispy Sea Salt? I can’t do cheese…so EVERYTHING! Being a New Yorker…I love me a good (gluten free) everything bagel. I really, really do. It has every wonderful flavor packed into each bite. You want poppy seeds…yep…in there. Sesame seeds…also in there. Onion and caraway…got that too! EVERYTHING literally means…everything. And any New Yorker appreciates this flavor. But…did the flavor come across in cracker form? YES! Oh yes. First of all, these crackers have an abundance of flavor, without being a distraction. Everything about this cracker is right and good in the world. Simple pleasures come in simple packages…and this was one I am glad I somehow ended up with. These crackers are made with 7 grains and 4 seeds, which are perfect for snacking, stacking and dipping. For reals. The texture is thin, and crispy. I don’t want a cracker that wilts in soups and stews. I want it to keep that texture and crispiness when I dip, or spoon heaps of the soup onto the top of these. Oh yeah…these went above and beyond all expectations. And, yes, they have that perfect everything I love about everything everything (did you follow that?) flavor. It’s turning the best bagel in the world into a chip…that makes it so versatile and amazing. And I am a happier snacker because of it. Let’s take a look at the ingredients that Milton’s Craft Bakers puts into the Gluten Free Everything Baked Crackers. These crackers are made from brown rice flour, gluten free oats, potato flakes, potato starch, corn flour, high oleic sunflower oil (tocopherols, rosemary extract and ascorbyl palmitate added as an antioxidant), rice flour, cane sugar, white toasted sesame seeds, molasses granules (syrup, molasses), spice blend (poppy seeds, caraway seeds, sesame seeds, dehydrated onion), sugar, black sesame seeds, sea salt, millet, whey protein concentrate, poppy seeds, quinoa seeds, amaranth, autolyzed yeast, baking soda, monocalcium phosphate, sunflower lecithin, salt, sodium acid pyrophosphate, garlic powder, natural butter flavor, and caraway seeds. These crackers are non-GMO verified, certified gluten free, wheat free, kosher, and vegetarian. As for nutrition information, the Milton’s Craft Bakers Gluten Free Everything Baked Crackers are actually a healthy option when paired against other snacks out there. A serving size is about 14 crackers (30 grams) and there are around 4.5 servings per package. A serving will provide you with 130 calories, 4 grams fat, 0 grams saturated fat, 0 grams trans fat, 0 mg cholesterol, 180 mg sodium, 21 grams carbohydrates, 1 gram fiber, 3 grams sugars, and 2 grams protein. These baked (not fried) crackers definitely deliver on their promise to provide a healthier snack without the gluten! These are one of the best crackers I have had in my gluten-free life. And I love crackers. They are even (dare I say it?) better than Crunchmaster! Pair it with a spread, soup, or just snack on them on their own. However you do it…just do it. I’d hate to have you miss out on these delicious snack crackers. When it comes to gluten-free bites, very few do it as deliciously well (or as affordable) as Gratify Gluten Free. I first became familiar with this brand when out shopping at Meijer, seeing shelf-after-shelf of their pretzel varieties…including both yogurt and milk chocolate covered varieties. During the holidays last year, a dark chocolate peppermint version was introduced to the market. You better believe I devoured that bag. By myself. In an airport. And I didn’t feel any shame. Not one bit. That’s the thing about Gratify though…it’s the little brand with the big promise of fitting tasty snacks into your lifestyle. And when a company that focuses on gluten-free snacks states that they are “obsessed with great taste,” you expect them to deliver all the high notes of flavors and textures. You want to be able to break these out at a cocktail party and not have anyone glance at them sideways and give you the “that must taste like cardboard” eyebrow and then ignore the snacks entirely. See what they did there? HA! With all that being said, I had never seen a box of the new Gratify Gluten Free Baked Bites Crackers. In fact, I had no idea they even existed until I was at Raisin Rack in Columbus, Ohio and found them on the clearance shelf. Seriously. For $1.99 on sale. HELLO! Into my big basket of gluten-free goodness it went, and with a gluten-free and vegan chickpea noodle soup on tap for dinner tonight, I figured there was no better time to bust out these crackers than now. Because soup and crackers…are BFFs. They were perfect. Absolutely perfect. Texture-wise…just as light and airy as a regular saltine, with that crumble you get when you bite down. It was fantastic to pop these into my mouth on their own or after being dipped into my soup and picking up some of the chunky vegetables that I cooked into it. Packed with great seasoning and flavor, each bite was amazing and satisfying (or gratifying). I found myself eating the crackers more on their own than in or with the soup. That, my friends, is a huge deal since I’m a bit of a dipper when it comes to things I eat with soup (sammies and crackers!). I loved these from the first to the last bite. In fact, I even have dished up servings to take to work to have with the leftover soup for lunch. Can’t go without these. Now, I just hope Meijer or some other local store that carries the Gratify brand has these in stock. I never want my pantry to be un-Gratified. HA! So, let’s talk about what goes into the Gratify Gluten Free Tuscan Herbs Baked Bites, shall we? These adorable bite-size crackers are made from corn starch, palm fruit oil (RSPO certified), rice flour, sugar, inulin, sea salt, corn grits, maltodextrin, dehydrated vegetables (garlic, onion), leavenings (ammonium bicarbonate, sodium bicarbonate, disodium diphosphate), spices, cellulose gum, emulsifier (soy lecithin), dried yeast, dextrose, rice starch, cottonseed oil and/or canola oil, and natural flavors. These crackers are wheat free, dairy free, egg free, and contain non-GMO ingredients. They are certified gluten-free. 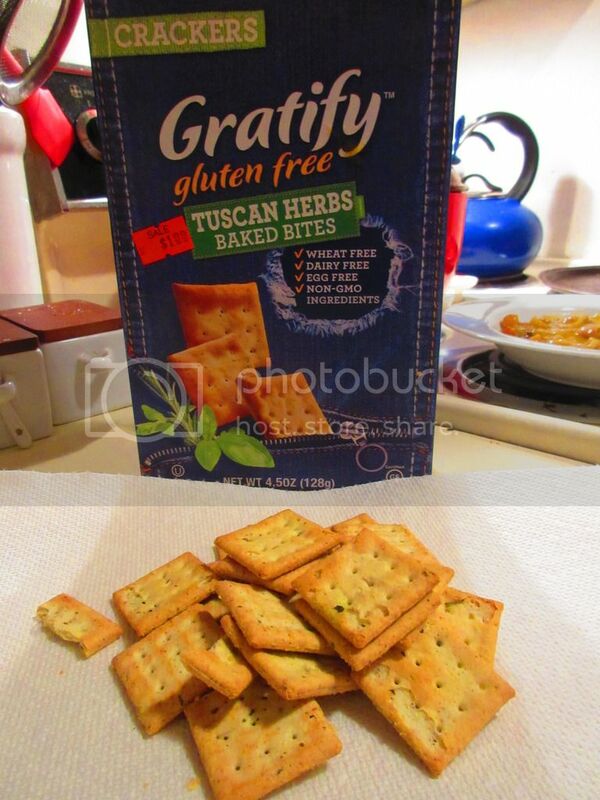 As for nutritional information, a serving of Gratify Gluten Free Tuscan Herbs Baked Bites is 30 grams (which is A LOT of little crackers) and there are 4 servings per box. A serving will provide you with 120 calories, 4.5 grams fat, 2 grams saturated fat, 0 grams trans fat, 0 mg cholesterol, 240 mg sodium, 21 grams carbohydrates, 2 grams fiber, 1 gram sugars, and less than 1 gram protein. I loved these crackers at first bite. Gratify Gluten Free does manage to do something that most gluten-free crackers don’t do…and that’s taste like and feel like a real cracker. The mouthfeel, the crispy texture, the flavor…it’s all there and it’s all perfection. And that’s what really astonished me and blew me away. These crackers are perfect for every crowd…and I hope to be able to find more in my area. Otherwise, next time I’m in Columbus, I’m stocking up! Trust me…these are worth a spot in the pantry.